Uttar Pradesh Higher Education Commission is preparing all arrangement for to conduct the written test to the applicants of UPHESC Principal Recruitment 2019. Moreover, the candidates who successfully complete the registration process of Uttar Pradesh HESC Principal Jobs 2019 those can download the UPHESC Pracharya Exam Syllabus pdf using the Uttar Pradesh Higher Education Commission link www.uphesconline.in. Alternatively, you can find all the relevant information of UPHESC Pracharya Exam 2019 in this page also. 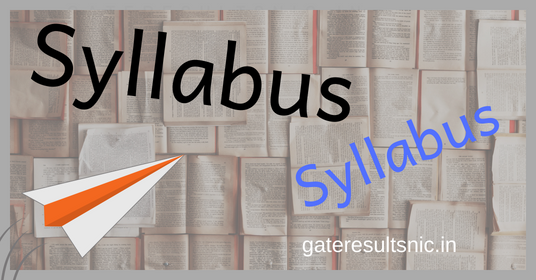 Hence, eligible candidates read the complete article to know more details of UPHESC Principal Syllabus and exam pattern. The UPHESC Department provides a nice job opportunity to the eligible candidates. So every eligible candidate must utilize this nice opportunity without miss. Hence, the officials announce the Uttar Pradesh Higher Education Services Commission Principal Jobs 2019 application dates from 15th March 2019 to 15th April 2019. Therefore, interested aspirants have a regular check in our website, we immediately update the exam dates in this page after the officials declare on its official website www.uphesconline.in. Hence, Candidates will be selected based on their performance in the Written Test, Personal Interview, Document Verification conducted by Uttar Pradesh Higher Education Services Commission. Therefore, Eligible candidates who are interested in UPHESC Jobs or UP State Government Jobs can apply to this posts in online mode up to the last date of application. The selection Process of UPHESC Principal Recruitment 2019 includes the following stages. They are Written Exam, document verification and Interview. Moreover, in this selection process candidates can be selected in first round they are enter in to further round. The phases of selection process are listed in the following. Science, Technology Environment in Contemporary Context. India History and National Movement. Indian Art, Literature and Culture. ICT: Advantages, disadvantages and uses. Basic of Internet and Its applications. Institutions of higher learning and research of India. Regulatory bodies for Higher education with simple reference to UGC, NCTE, AICTE, MCI, NAAC, BCI and RCI. University and Colleges : Authorities, Bodies and Boards. Service Conditions of teaching, non-teaching staff and principal. Recognition and affiliation of Colleges. Pattern and Conduct of Examination. Good Governance in Higher Education. P. Higher Education Service Commission Act. University Statues ordinances and Regulations. Rights and Duties of Principal with reference to different stake Holders. Development and Maintenance of Facilities and Assets. Role of Principal in promoting excellence in academic and co-curricular activities. Maintenance of discipline and order. Promotion of ethics and values in academic institutions. 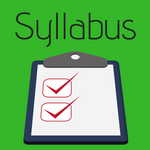 Hence, to know more about the UPHESC Principal Syllabus 2019 and further process visit our site. Surely follow and also bookmark our site for latest Sarkari naukri, upcoming govt jobs and all exam results without delay.